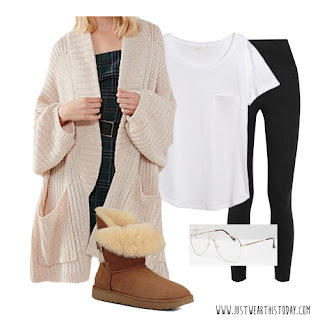 Lounge outfit for a Sunday in! I'm so obsessed with this blanket cardigan from Urban Outfitters. It's just so soft and comfy!